From emojis that look like you to yoga workouts for your watch, Apple's Developer Conference kicked off Monday with dozens of updates to the devices millions of us use every day. Business and tech reporter Scott Budman provides the latest. The paradox emerged Monday as Apple executives previewed new versions of free software due out this fall. The forthcoming controls are aimed at addressing criticism that devices are becoming increasingly addictive and distracting, especially for children. Experts worry that all the flashy colors and beeps give users short-term, feel-good rewards while increasing stress in the long run. Yet Apple made it clear it also hopes to make its devices and services even more alluring — and potentially irresistible — by creating new avenues for its digital assistant, Siri, to serve as a backup brain for users. The company is also creating more entertainment options and new ways to communicate, including group video chats through FaceTime and more options for the iPhone X's animated emojis. People have become so dependent on technology that it's unlikely any company will be able to solve the addiction problem, but they can help keep it from getting worse, Gartner analyst Brian Blau said. The best hope, he said, is for technology to help people enjoy life and then get out of the way. "Apple at least seems to be hearing what people are saying and trying to do something about it," he said. Apple's new controls will expand on the "Do Not Disturb" options on the iPhone and iPad. The display can also be set to dim automatically just before bedtime. Users can also block app notifications from showing up on the home screen not only based on time of day, which they can do now, but by location, such as when visiting the playground with their kids. Other features will provide weekly reports on how much time people are spending looking at their screen each month. Users will be able to set daily time limits on specific apps. Last month, Google revealed plans to force Android phones into "shush" mode when placed face down on a table and have the screen show only greyscale colors late at night. Apple is taking a swipe at ubiquitous "share" buttons created by Facebook and others to track users' behavior online regardless of whether they click on them. 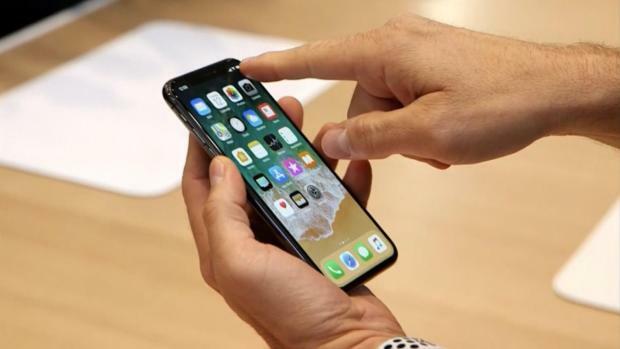 The company said it's shutting down that tracking, unless the user decides to permit it, through a Safari browser update for Mac and iOS devices, including iPhones and iPads. Apple also intends to crack down on data companies' ability to identify specific devices by creating a unique fingerprint based on a device's settings, installed fonts and plug-ins. Instead, Apple will send out generic information to make all Apple devices look alike. Unlike Facebook and Google, Apple doesn't depend on online ads dictated by data about a user's interests. Instead, Apple generates most of its revenue from device sales. Chris Hoofnagle, faculty director of the Berkeley Center for Law & Technology, believes Apple's move will prod rivals Mozilla and Microsoft to do the same, though Google may remain a holdout with the Chrome browser given the company's dependence on ads and data. The announcement comes as Facebook acknowledges it struck data-sharing deals with at least 60 device makers, including Apple. Facebook insisted there was nothing scandalous and said the deals were designed to make it easier for people to use Facebook features without opening its app or website. Apple rolled out new support for augmented reality as it unveiled a new format for digital objects that appear to live in the real world. Digital objects created with the new format, called USDZ, will work in Apple's Safari browser, Messages and Mail apps, meaning AR isn't limited to stand-alone apps that people choose to download separately. Apple is trying to extend AR experiences to a broader population, rather than just hard-core, tech-savvy users. What remains to be seen is whether there is enough of a compelling reason for someone to use AR, even if it's built into everyday apps. A broader range of third-party apps will be able to let users invoke Siri for commonly used tasks, much the way competing assistants from Google and Amazon long have. But Ben Wood, head of research at CCS Insight, said Apple still has a lot of work to do to close the cap with Amazon and Google. Apple will encourage users to share photos with their friends by suggesting such opportunities in a new "for you" tab. When a friend receives photos from an event, Apple will then suggest that the friend reciprocate with photos from the same event. It's similar to how Google already encourages sharing through its own Photos app for iPhones and Android devices. The company is bringing the Dolby Atmos surround-sound feature to Apple TV 4K devices, while Apple Watch's software gets a "Walkie Talkie" voice messaging feature that resembles the alternating one-way voice technology of the past. 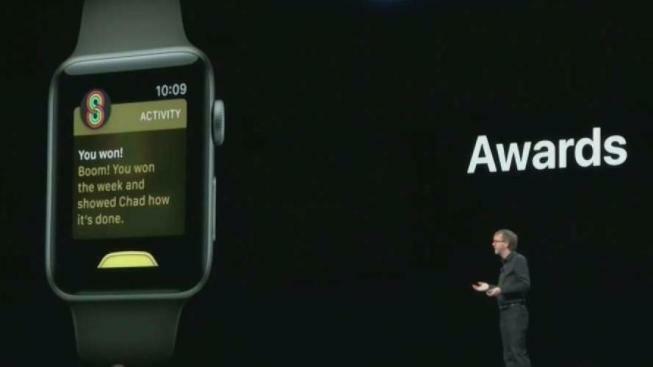 The watch will also automatically detect workouts without having to launch the fitness app. 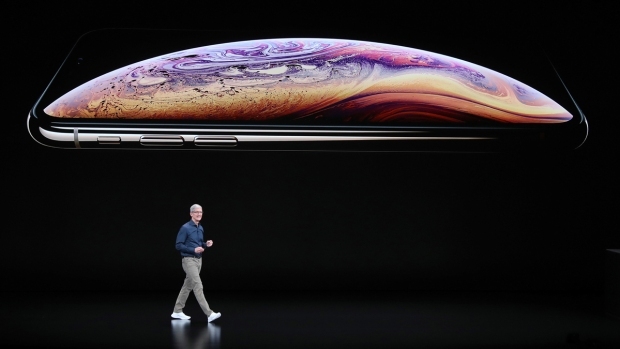 Apple is trying to make Macs and iPhones work better together. The company showed off how photos taken on iPhones can instantly appear inside a Mac document. The new macOS version, Mojave, also gets iPhone apps such as Home, News, Stocks and Voice Memos.